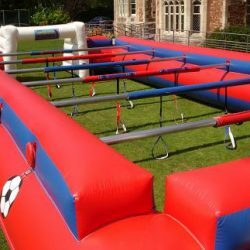 5 A Side Human Table Football is a giant version of the popular table football game. 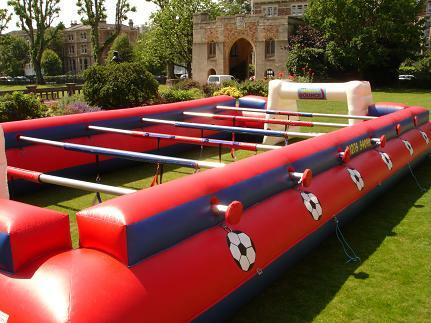 multi-activity day, like It’s a Knockout or as a stand alone tournament. 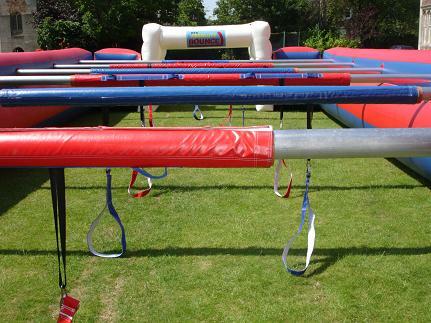 such is a terrific part of a corporate team building day. 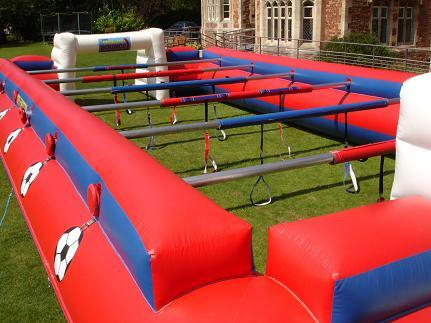 For more information about our giant human table football games, please call or email us. 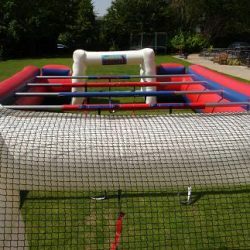 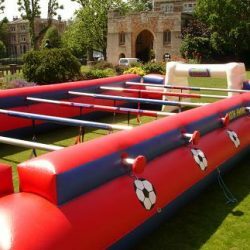 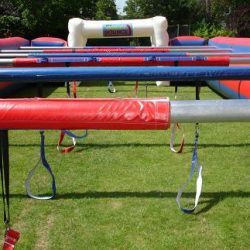 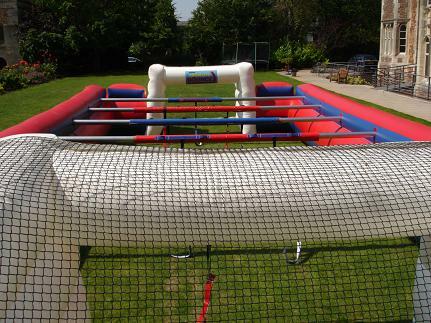 Fantastic Fun Ideal for Birthday Parties, Youth Centres, Pub Gardens, Weddings ,Corporate Events, private Garden Parties, Football Tournaments and so much more! 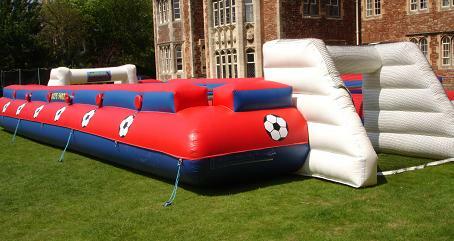 Now Also available 5 a-side Space Hopper Football! 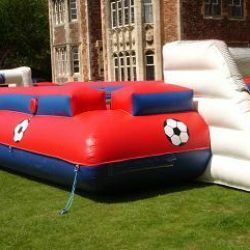 Don’t forget to have a look at our other fantastic inflatable games .